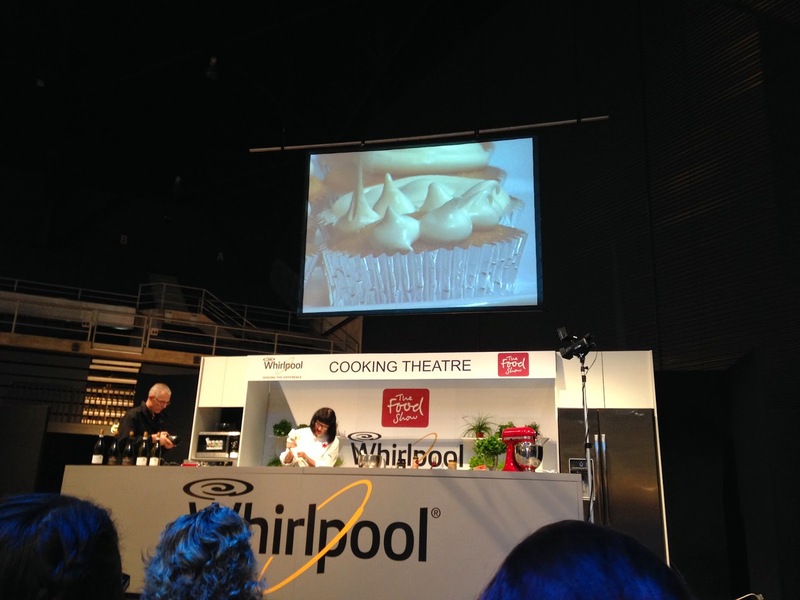 IBS: Irrepressible Baking Syndrome: Foodie Goes To The Food Show... and finds Julie Le Clerc's Best Ever Vanilla Cupcakes! 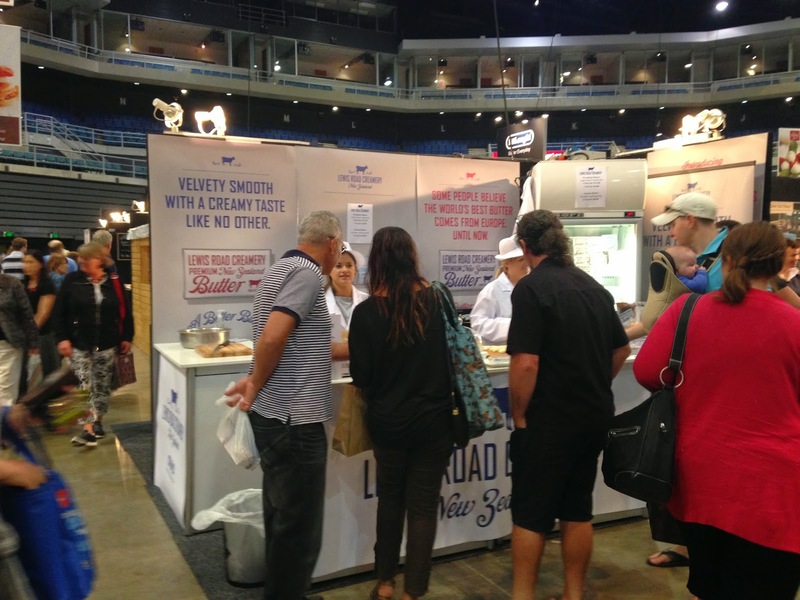 Foodie Goes To The Food Show... and finds Julie Le Clerc's Best Ever Vanilla Cupcakes! 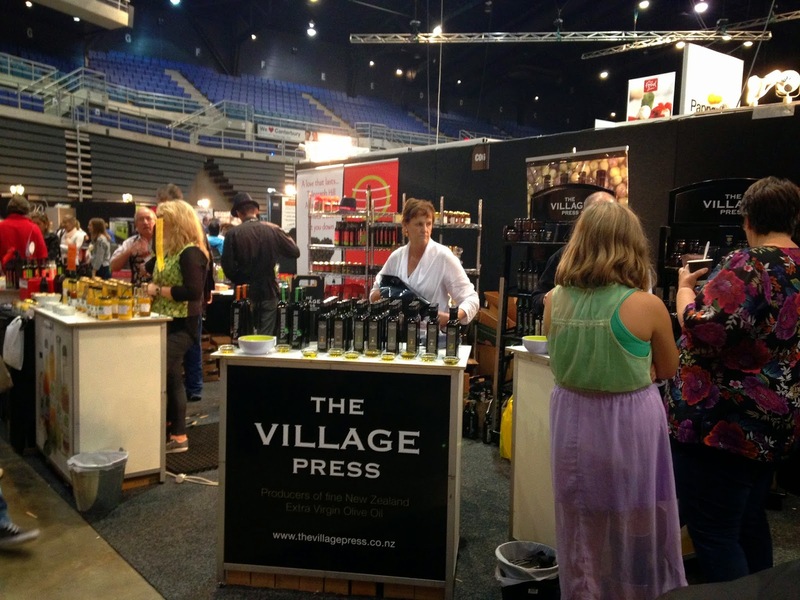 Always in search of food-related inspiration and advice, I hurried to The Food Show when it came to Christchurch earlier this month. In particular, I was hoping to get some good baking tips from Julie Le Clerc (pronounced 'clear', as in my name! ), who was running a demonstration on cakes, having just returned from India where she had been teaching the craft in a posh hotel. 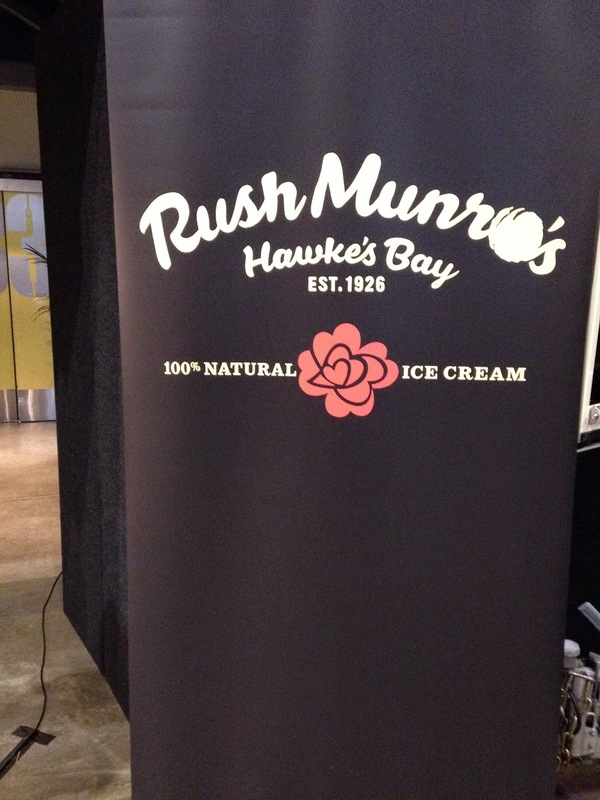 When I arrived at the CBS Arena, it was like walking into a dream: the Rush Munro's (ice cream) stand was right by the door, Peta Matthias was on the big screen demonstrating something with okra, and Pic's Peanut Butter was giving away free samples!! Well, 'free' after having paid the entry fee, but I'm not one to look a gift horse in the mouth (whatever that means...). Peta Matthias on the big screen. Another Hawkes Bay icon! Is my foodie obsession really surprising considering that I grew up in the Fruit Bowl of New Zealand?! The delectable wares of the Lewis Road Creamery, where the best butter on earth is made. True story. 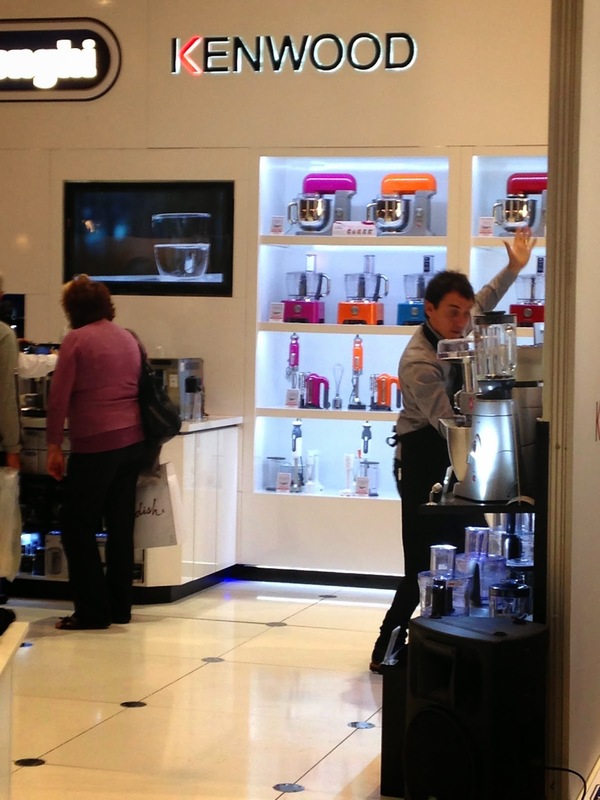 Jason Gunn adds a flourish during a cooking challenge - in front of a mouth-watering display of Kenwood K-Mix appliances. 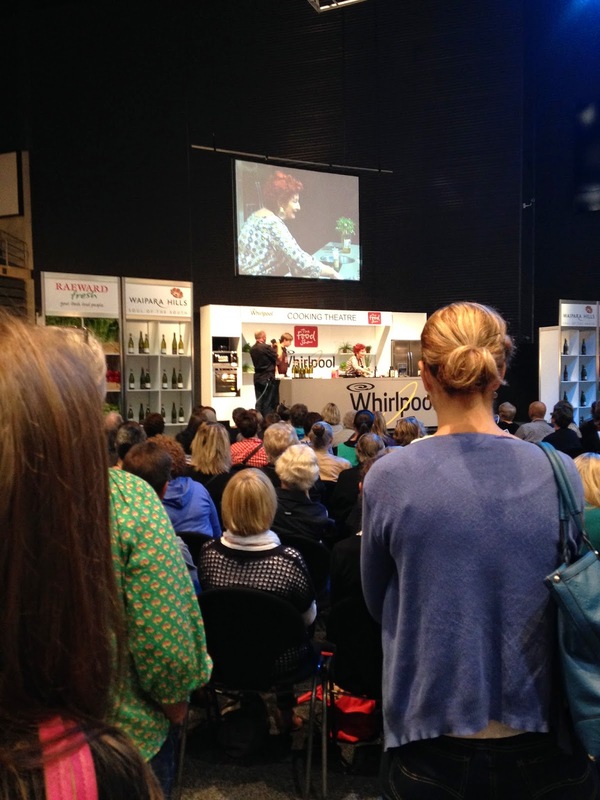 Annabelle White co-hosts the cooking display with Jason Gunn. Julie's demonstration was definitely the highlight for me - she was so professional and down-to-earth, I felt that she was speaking my language! Especially when she brought out the Swiss meringue buttercream icing... (I really must post on that soon!!). 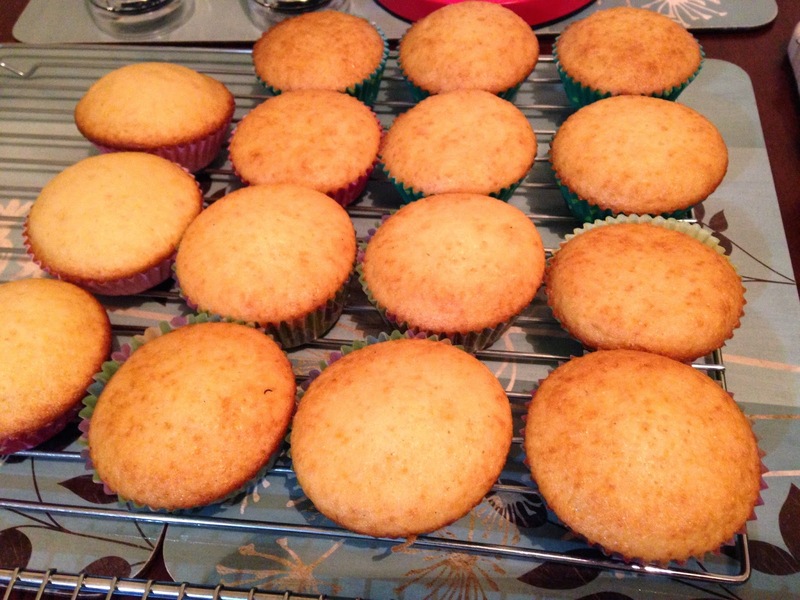 ......the recipe for Julie's Best Ever Vanilla Cupcakes!!! A no-fail vanilla cupcake recipe was just what I needed! In particular, I was glad to find a flavour-some recipe that didn't involve too many eggs to keep the cost down (two per double-dozen is a decent ratio, I think) - especially if you need to make four batches!!! I didn't have vanilla sugar at the time, so I just used more caster sugar and added an extra teaspoon of vanilla essence for each batch. But I now have a couple of vanilla pods in a sealed container to infuse a quantity of sugar for the next time I make these cupcakes. I topped the cupcakes with the basic buttercream recipe that I used for this cake recently, flavoured lightly with vanilla essence. Preheat oven to 175 degrees Celsius. 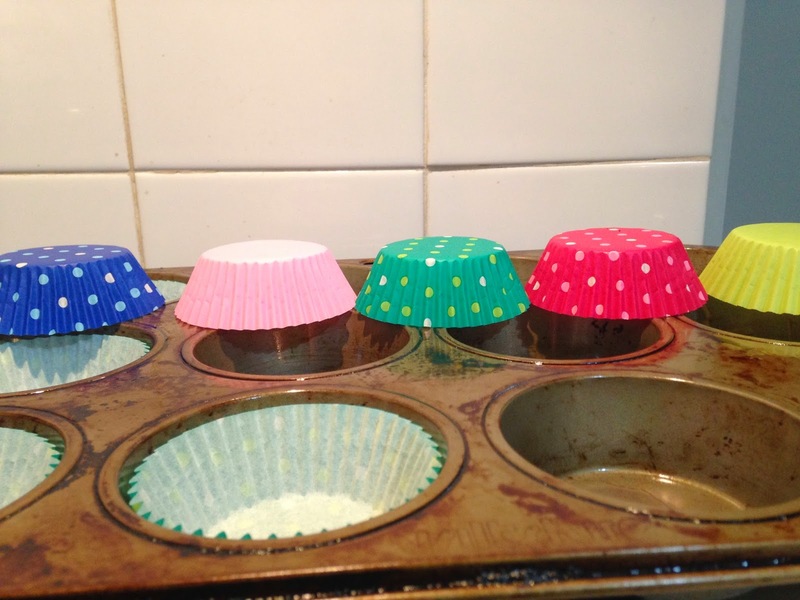 Line 24 standard-sized muffin tin holes with paper cases. 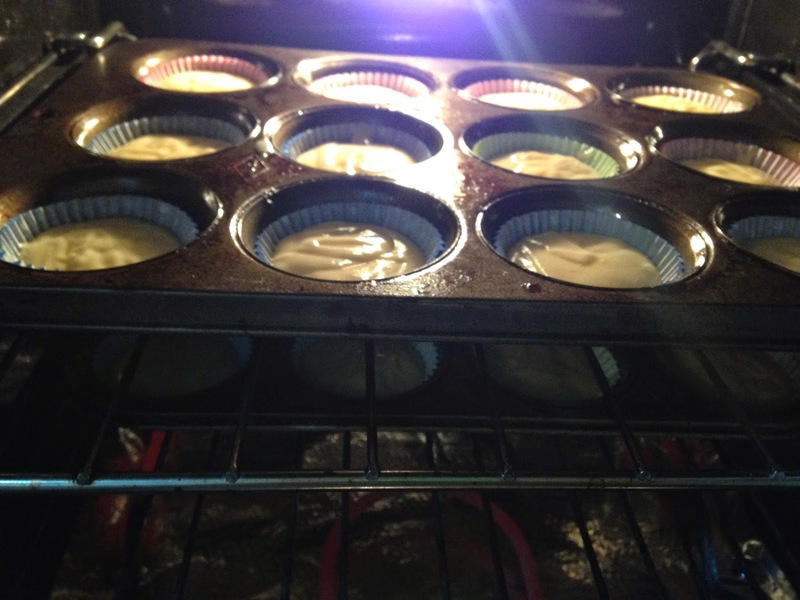 [I like to spray-oil my baking cases so that the cupcakes are easy to eat out of them without sticking too much]. 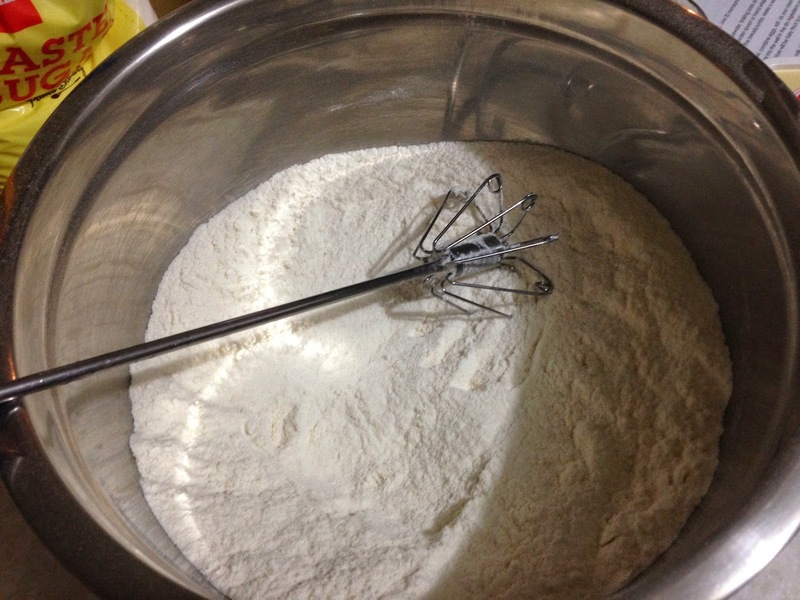 Place flour, baking powder, baking soda and both sugars into a bowl. Add butter and stir together/rub in with a wooden spoon or whisk until the butter or margarine is evenly distributed and the mixture looks like fine breadcrumbs. [Julie called this process 'reverse creaming', but it's really similar to when you rub butter into flour when making scones. Of course, I used my miracle whisk...!] Make a well in the centre. 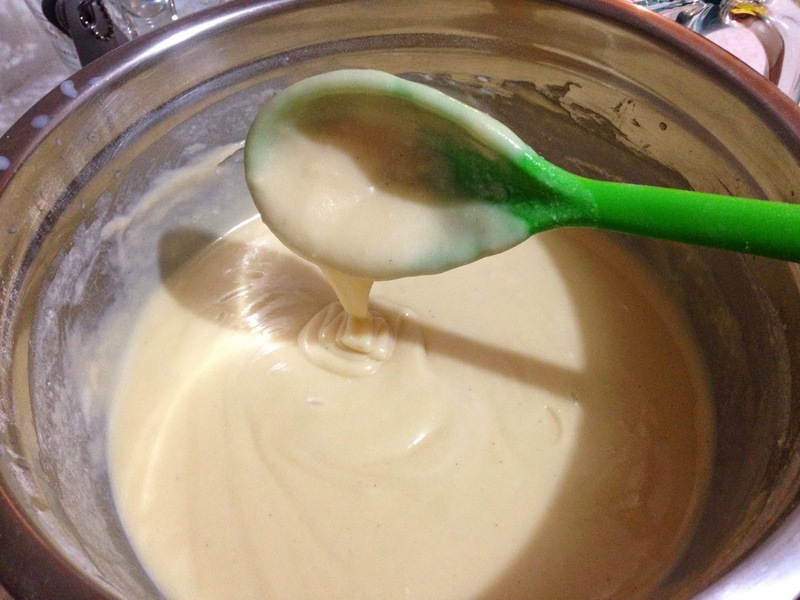 In another bowl, combine eggs, salt, oil, sour cream and vanilla and whisk until smooth. Pour this wet mixture into the well in the dry ingredients and stir for a minute or two to just combine. The mixture will be fairly thick but you shouldn't see traces of butter. Lastly, slowly add add the milk, stirring until mixed together (mixture will be quite liquidy). Transfer the mixture to a jug or cup and pour into paper cases, filling cases until just over half full. 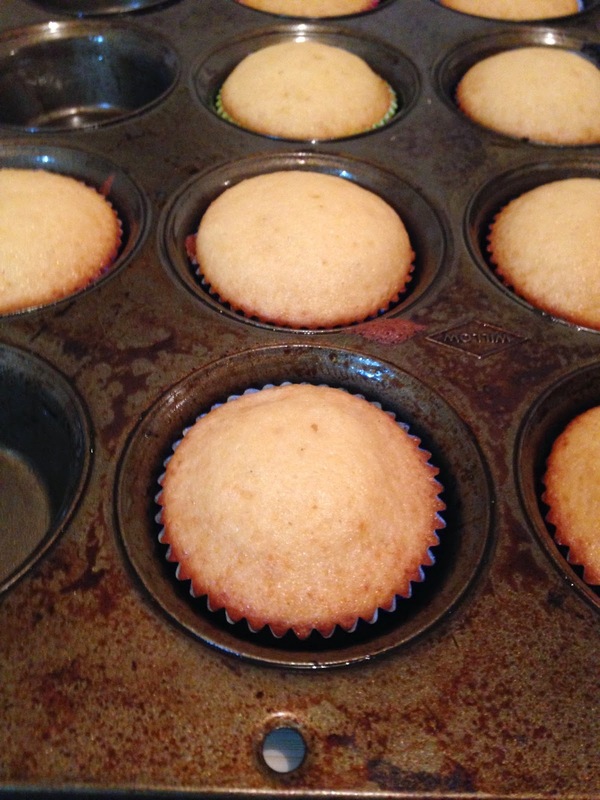 Bake for 15 minutes or until cupcakes are puffed and firm but not browned. Test one by inserting a skewer into the centre to see if it comes out clean. Alternatively, press on the top of a cupcake to see if it springs back rather than leaving a fingerprint! These cupcakes don't fracture on their tops, which makes them easier to ice! This batch are a little too browned - but doesn't affect the taste. If desired, brush with maple syrup or sugar syrup before icing and decorating. 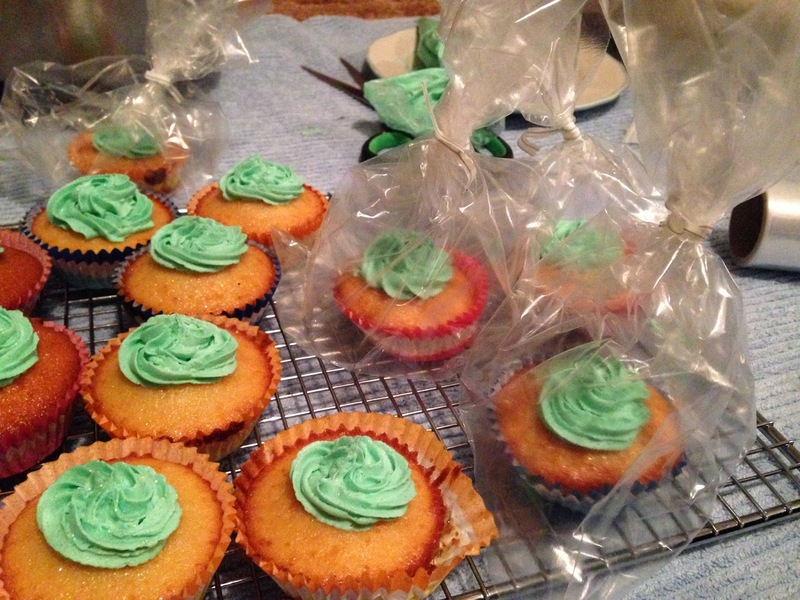 Iced, wrapped and ready to be favours for pub quiz attendees. 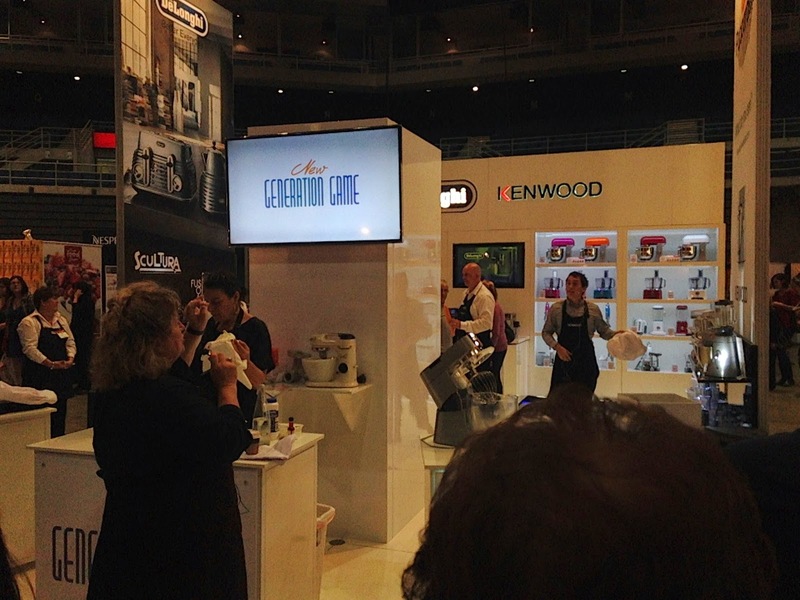 Yes, I do believe that I'll be back at The Food Show next year!